Dentist Plateau- Mont- Royal 514-499-0984 | Dr. François McCabe - Professional and Experienced, our Doctors always keep their Knowledge up to Date to Better Serve You. 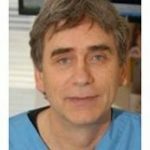 Dr. François McCabe is the owner and a dentist of the dental clinic since 2003 and has been working at the clinic since 1999. He is a 1997 graduate of the University of Montreal. During his studies he stood out on several levels. He received awards from “l’Ordre des Dentistes du Québec” and the Pierre Fauchard Academy for academic excellence, and from the American Academy of Periodontology for excellence in periodontics. The Micheline Blain Award from “l’Association des Chirurgiens Dentistes du Québec” for his community involvement and an award from the Canadian Dental Association for being the best potential teacher. He has devoted his talents in private practice and also teaches the clinical practice at the University of Montreal on a part time basis. He stays constantly updated and continues to improve his practice through many days spent every year on continuing dental education. Over the past few years, he’s had a strong interest in surgical and prosthetic implants. He has taken many courses on the subject and has obtained a fellowship of the Internationnal Congress of Oral Implantologists in november 2011. He is a member and secretary of the Montefiore Study Club where he has lectured. He is also a member of the 3D Implantology Study Club of Quebec. He is a member of “l’Ordre des dentistes du Québec” and of “l’Association des chirurgiens dentistes du Québec”.